As I was making my lists and stressing more than twice about not being able to get out and about to accomplish some shopping because of yesterday's snowstorm, I happened across this quote on a friend's Facebook page. 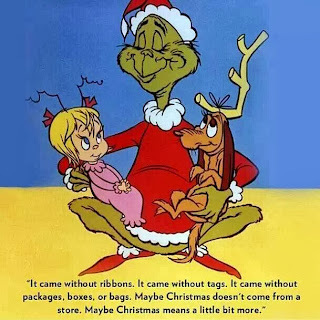 The spirit of Dr. Seuss himself then reminded me to take a deep breath, focus on the people I am most grateful for, and enjoy the sounds and sights of the season around me. Today while I am again slightly snowbound, I will brew a flavored coffee, rummage through the holiday projects I saved from when my children were little, decorate sparingly, and craft some simple but heartfelt gifts. Giving from the heart means more. 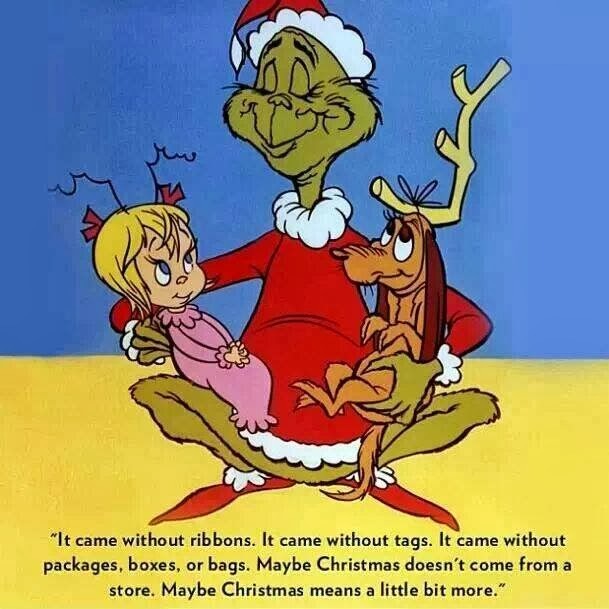 Thanks to the Grinch for reminding me of that!